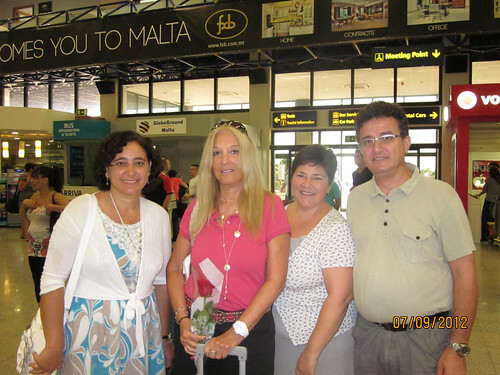 For many months Rosie, TLIG Organizer in Gozo, was preparing for Vassula’s first witnessing in Malta. During lunch, the TLIG Prayer Group in Malta, were happy to inform us that Smash TV aired an hour long program about True Life in God, something that was not planned by the organizers. They were showing one of Vassula’s witnessing. Once again God was working miraculously to spread His messages and the upcoming event. On our way to the island of Gozo we met with a Reverend who previously worked on the Ecumenical Council in Malta. He listened to Vassula’s and two other TLIG members witnessing. He was happy to tell us that he had placed in both the Gozo and Malta parishes’ newsletter of Vassula’s meetings. On the feast day of Our Lady’s Birthday, we visited a priest in Gozo who warmly welcomed us and was open to hearing Vassula’s witnessing. He then showed us around his parish church as well as the quarters that they use for small retreats. In the afternoon, Vassula would be witnessing to the people of Gozo, so the TLIG volunteers worked to prepare the hall and the book stalls. Many Gozitans just finished watching the first interview on TV and they were eager to hear more, so it was wonderful to see over 60 people of all ages coming to hear Vassula speak. Once the witnessing finished, the Prayer of Repentance and Deliverance that Jesus gave on November 13, 2006, followed. 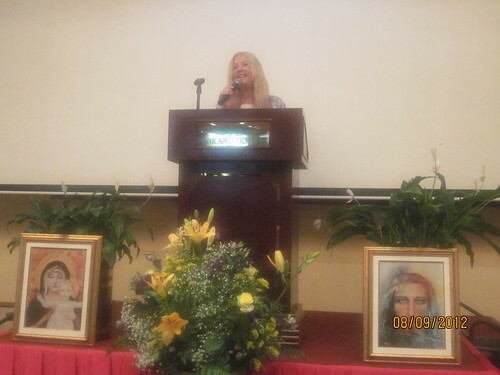 Vassula then said a Healing Prayer over the individuals who attended. People felt happy and blessed once the Healing Service finished. 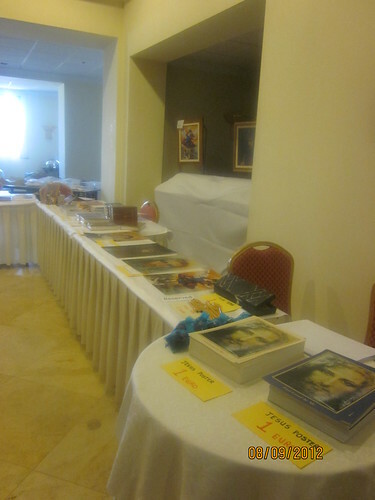 There were many who wanted to buy books or icons and Vassula stayed to sign several items that the audience bought. No one wanted to leave as they said they felt God’s presence during the speech. It was an intimate witnessing, one that allowed the audience to enjoy what they heard and begin to connect intimately with God’s words. Prior to Sunday mass in Malta, Vassula witnessed to a priest who was more than eager to hear all she had to say. He had already read a few of the messages and wanted to discuss them further. He accepted God’s messages positively. After mass, there were the final preparations for the second witnessing that afternoon. Over 80 people attended this second witnessing. 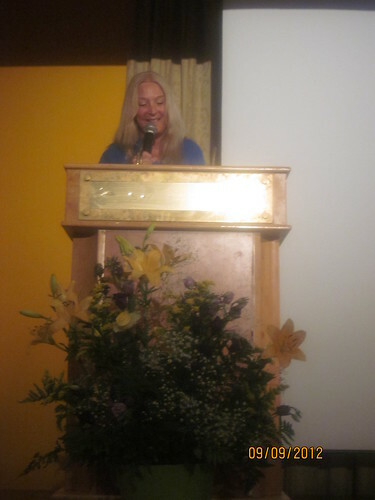 The majority of the audience came because of the TV interview and only a few had before heard of True Life in God. Several of the people who attended were completely new to the messages. Others surprisingly brought with them early editions of the messages, showing their books to Vassula and telling her that they knew those messages. Once again the people were pleased to hear about God’s love and how merciful He truly is. They listened keenly and were even more enthusiastic during the Healing Service. The books quickly sold out so many had to place an order. On our final day in Malta, Vassula met Mgr. George Mifsud Montanaro. He had previously written to Vassula telling her that “I am happy to know that you have been invited to speak in Malta… I wish you continued blessing on your spiritual witness and your apostolic and charitable work.” He had many questions to ask Vassula to which Vassula answered them. We felt that maybe in the meantime he must have received some negative news that made him feel uncomfortable, but Vassula’s answers satisfied him and by the end, he was more open to what was being said and even contributed his ideas on unity.